Photo submitted by Ed Esberger's son Ed. DEVICES: Trident represents knowledge and roll of the high seas. Anchor represents proficiency in ways of the seas. 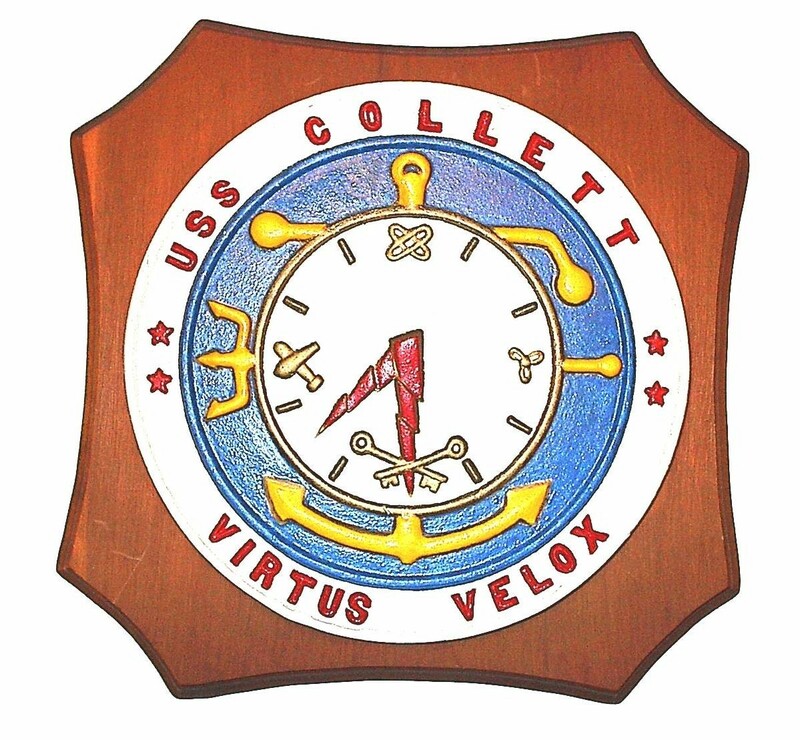 and power; also indicates COLLETT's hull number. COLORS: Red,white, blue--loyalty to the United States. Cruiser-Destroyer Force, U.S. Pacific Fleet on 3 March 1961.